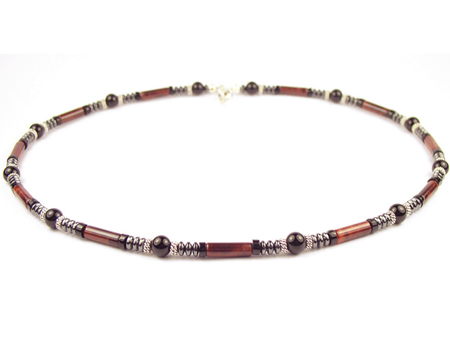 Considered controversy by some, masculine jewelry becomes increasingly popular. Therefore, while struggling to find the gift that will delight your man, you can consider these accessories as an option. But, beware not all men jewels are of good taste. Moreover, subtly check if this is his style as not all items go for any type of man and not all men accept to wear them. Then, make sure that your choice is based on his taste and style, not on your own wishes and desires, as you may be tempted. For instance, if your man is a classic outfits lover, avoid the shining gold chain. If he is of a more rebellious nature, look outside the traditional line. Anyway, unless he is a hip hop guy bristling with more chains and earrings or a bad boy style who adores heavy metal accessories, opt for something discrete. 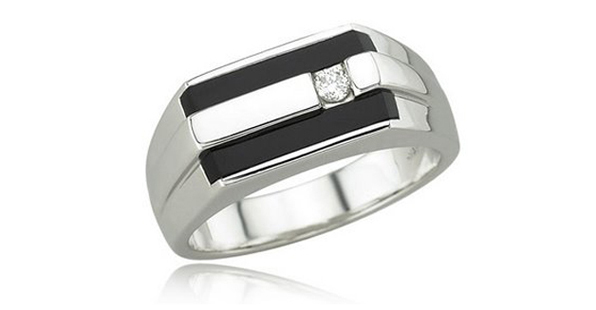 The signet is the first jewel that comes to one’s mind when thinking about rings for men. Named after its medieval roots, when only the nobles wore such an accessory on which his family’s shield was engraved, the signet ring plays until today, an identification role for the wearer who adorns the jewel by his initials or by a distinctive sign stating a certain group affiliation. According to your guy’s style, you can make your choice and personalize this gift. A delight to the eye, a signet ring does not necessarily have to follow the tradition. Therefore, you can opt for different raw materials such as leather, wood, brushed steel, onyx or white gold. Bearing design elements or not, men’s rings are often broad and flat and they are usually not adorned by stones. Chain bracelets are not just baptism jewels. They are also a suitable gift for a traditional man. Gold, silver or steel, the bracelet can identify the wearer or just provide him with a touch of style. Although the identity silver or gold bracelet remains a classic, the contemporary jewelry designers offer much more than that. Stainless steel bracelets, combined with other materials such as gold and stones become very trendy, while remaining rather affordable. However, be sure beforehand of his preferences: thick or slim accessories? Mono-color, bicolor or tricolor? 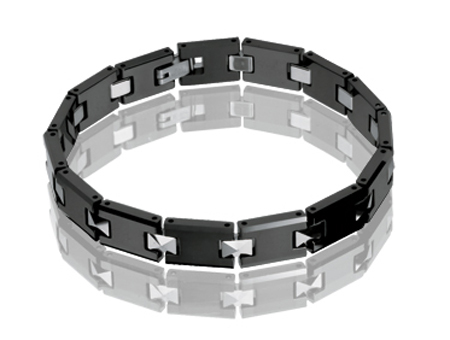 If you are looking for an original model, take a look at those chain bracelets combining steel and ceramic as you will certainly not be disappointed. If your guy is not of a traditional one, you can opt for more masculine materials like leather or stainless steel or, if he is a trends follower, you should know that ethnic motifs are the latest hip. More rarely worn, masculine necklaces often have a strong connotation: the leather or beads ones for surfers, dog tags on chains for tough guys, the religious medal for the most traditional or the simple chain just for a touch of style. Classic and timeless, a watch is the safest choice. You will certainly find something on the market to suit any taste and any budget. Gaudy, gold or very minimalist, round, square or rectangular dial, more or less sophisticated mechanism, leather straps or metal bracelet, choose a model that fits your beloved’s life style and look. 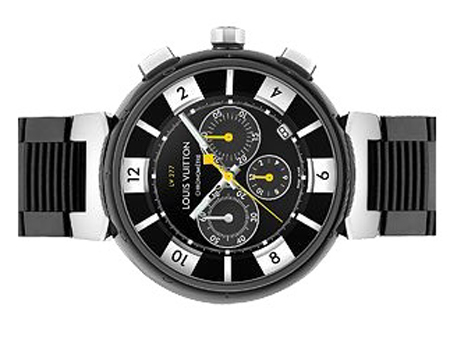 A watch is the ultimate masculine jewel that speaks about its owner. If you haven’t decided on any of the traditional types of men jewels there are two more options: cufflinks and tie clips. Often reserved to men who wear a suit and tie, these jewels are usually discrete details that can bring a chic touch, while keeping the overall sobriety required by a masculine business look.